From New York Times bestselling author Patti Callahan comes an exquisite novel of Joy Davidman, the woman C. S. Lewis called "my whole world." When poet and writer Joy Davidman began writing letters to C. S. Lewis-known as Jack-she was looking for spiritual answers, not love. 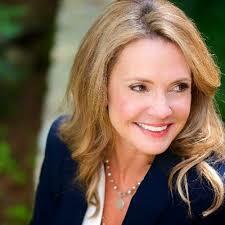 Love, after all, wasn't holding together her crumbling marriage. Everything about New Yorker Joy seemed ill-matched for an Oxford don and the beloved writer of Narnia, yet their minds bonded over their letters. Embarking on the adventure of her life, Joy traveled from America to England and back again, facing heartbreak and poverty, discovering friendship and faith, and against all odds, finding a love that even the threat of death couldn't destroy. In this masterful exploration of one of the greatest love stories of modern times, we meet a brilliant writer, a fiercely independent mother, and a passionate woman who changed the life of this respected author and inspired books that still enchant us and change us. Joy lived at a time when women weren't meant to have a voice-and yet her love for Jack gave them both voices they didn't know they had. 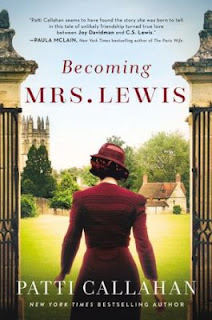 At once a fascinating historical novel and a glimpse into a writer's life, Becoming Mrs. Lewis is above all a love story-a love of literature and ideas and a love between a husband and wife that, in the end, was not impossible at all. Buy the book HERE.